Jackhammer crane, unmuffled. Noise topped 115 decibels – behind closed windows 150 feet away. • comply with their noise mitigation plan. They have done exactly none of the above. This is consistent with QT’s and God’s Love We Deliver’s complete disregard for the health and well-being of their neighbors. The noise regulation rules are only enforced if there are complaints registered. So if you live nearby and are suffering with the sound of jackhammering for hours on end, please complain about the noise – loudly and often. 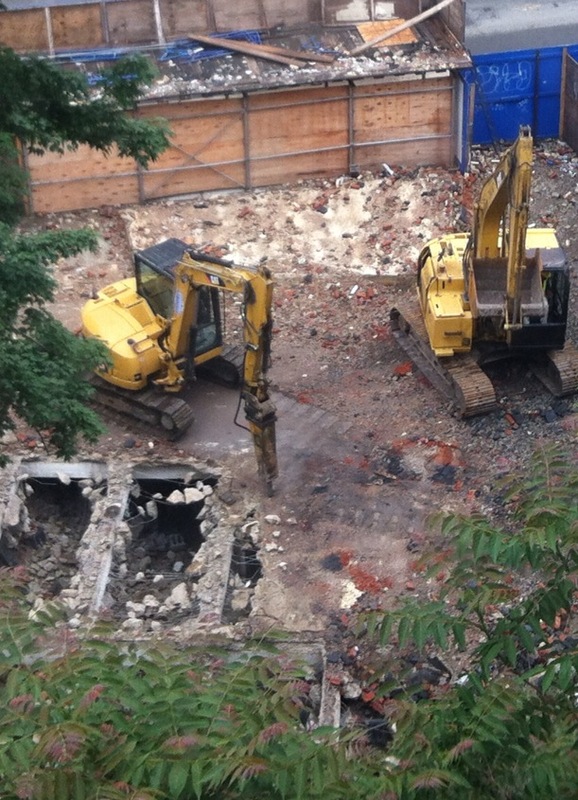 The DiSano jackhammer-crane has been generating noise peaking at 115 decibels in our apartment — more than 150 feet from the demolition site and behind sealed double-paned windows. For folks closer – on the ground floors, for example – the din was much worse. This is a health issue for our neighborhood: noise at this level is damaging to your hearing and is linked to cardiovascular disease, such as hypertension. It’s worth noting that NYU is being required by the City to provide sound proofing windows and special sound reducing air conditioners to Washington Square Village and Silver Tower apartments, as reported in The Villager this week. No such plan has been required of GLWD or QT, except for a few air conditioners for our neighbors at 188 Sixth Avenue. 1) BY PHONE: Call 311 and say that you want to make a construction noise complaint to a Department of Environmental Protection operator. They should connect you to a specialist. Complain about the noise level, complain about the lack of a noise mitigation plan, and complain that no noise mitigation plan is posted. No noise mitigation plan posted. May 23, 2013. 3) POST your Complaint Number on the Google Group if you are a subscriber to the Google Group. 4) CALL Speaker Christine Quinn’s office (212-564-7757) and tell her team what her $8 million dollar contribution of taxpayer funds to GLWD – her contribution of our tax funds – is doing to your quality of life. Let her know how you feel about this in light of her current campaign to occupy the Mayor’s office. 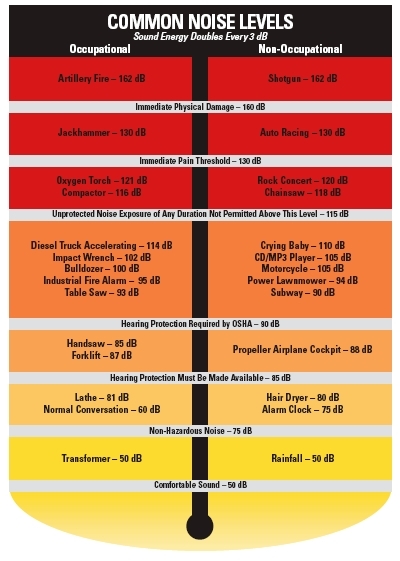 For more information about New York City’s noise regulations, visit: A Guide to New York City’s Noise Code or the Have You Heard? booklet on the 2007 revision to the noise laws. 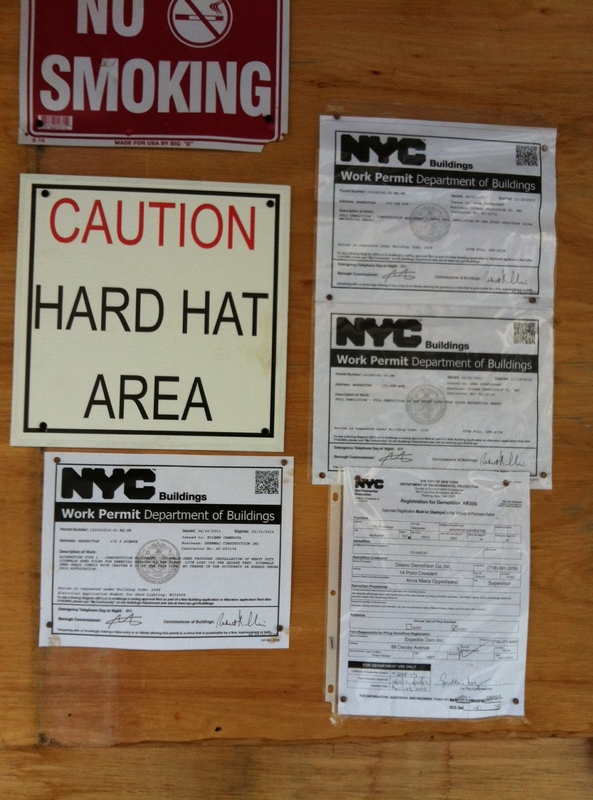 This entry was posted in Uncategorized and tagged 180 Sixth Avenue, Christine C. Quinn, environmental impact, noise violations, The Villager on May 25, 2013 by southvillageneighbors. • retained a prominent land-use attorney to begin our legal challenge. On March 29th the core group involved in the Stop 180 Sixth campaign met and voted unanimously to hire land-use attorney and zoning expert Stuart A. Klein to challenge the GLWD-QT scheme. Stuart comes to us highly recommended by SoHo Alliance, the Greenwich Village Society for Historic Preservation, and other neighborhood groups. A legal committee met with Stuart and one of his associates the following Wednesday to map out our approach, which will begin with a challenge to the legality of the air rights transfer. A research committee has been conducting the basic discovery/document retrieval to support our legal team’s work and keep our costs down. Last week they visited three archives and secured some obscure documents that support our efforts. Many thanks to these two committees! • consulted with the Office of the Mayor/Department of Citywide Administrative Services on the status of the air rights transfer. We have been in bi-weekly communication with the Department of Citywide Administrative Services, Division of Real Property, to follow the status of the proposed air rights transfer. As of this past Wednesday, there has been no progress on the sale of these air rights, which is, of course, great news for us. 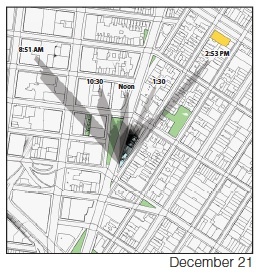 The fact that several members of our group testified eloquently on the inappropriateness of the air rights sale at the February 27th DCAS hearing seriously slowed down this process. Our contact at DCAS tells us that it could be several weeks until anything is resolved with regard to the air rights sale. Our legal challenge, which has only just begun, is expected to delay this matter even further; we hope, in perpetuity. So a huge thanks to the group who attended this meeting and/or testified! We also thank Andrew Berman, who alerted us to this hearing, and Stuart Klein, who encouraged us to have a strong presence there even before we had him officially onboard! • secured additional news coverage of our legal challenge: the neighborhood news service dnainfo.com ran a favorable story about our work at the end of March. You can read that HERE. If you have press contacts who may be helpful to us in this challenge, please be in touch. • set up a new list-serv/Google group for internal communication. At the March 29th meeting we identified the need for an internal communication mechanism to allow people to share information and ask questions of each other in a more horizontal way. Two folks on our team explored a number of options and arrived at the conclusion that a Google Group would be the best way to manage this. If you’re on our mailing list, later today or early tomorrow you’ll receive an invitation to join the group, and I encourage you to sign up. You will have the option of receiving news as it is posted, once a day, or once a week. If you sign up with a Gmail account, you will have the additional option of being able to be able to access the discussion board and its online archive directly. This is helpful if you prefer to not receive emailed updates, or want to look back at past discussions. • witnessed the arrival of two unpleasant pieces of yellow equipment. 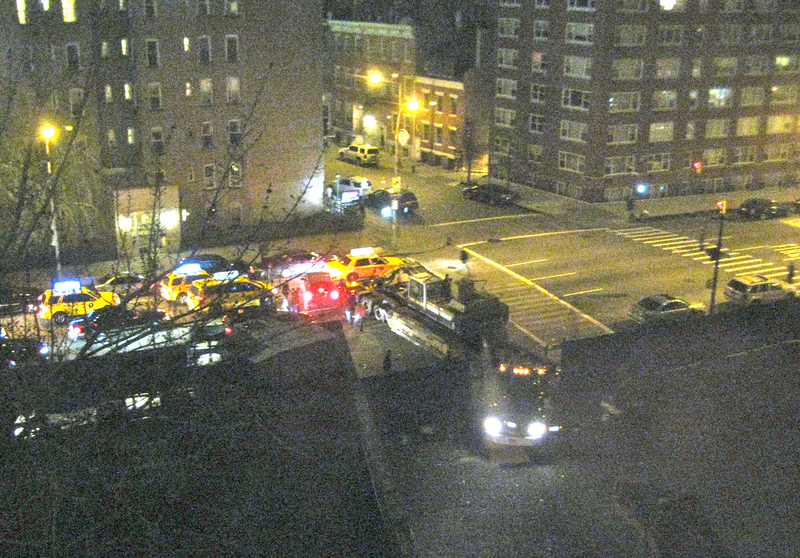 Friday evening at 8pm a rather formidable looking piece of equipment (that appears to be a pile driver) arrived at 180 Sixth Avenue. And last night at midnight, QT treated us to midnight delivery of another Komatsu behemoth. Their rig blocked traffic on Sixth Avenue, with backed up cars honking for half an hour, waking up everyone. This is an unpleasant reminder of what our future could look like if we don’t continue our campaign to Stop 180 Sixth Avenue. 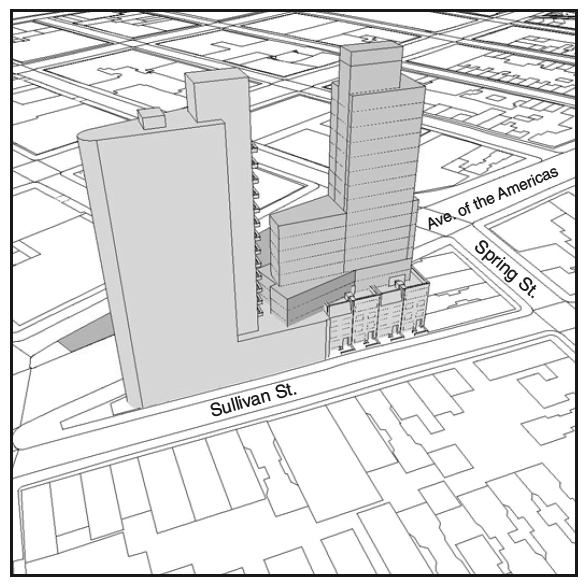 ATTEND the Landmark Preservation Committee meeting on the South Village Historic District. On Monday, April 15th at 6:30pm there will be an important Landmark Preservation Committee informational meeting regarding the proposed South Village Historic District. The meeting will take place at the NYU Meyer Building, 4 Washington Place (at Broadway), Room 121. As this is an informational meeting, no testimony is heard, but questions can be asked. I strongly encourage you to attend. If you are a property owner in the neighborhood you will learn more about the implications of landmarking. And if you are not a property owner, you are still welcome to attend. Several of our group will attend, and we’ll hand out informational material about our Save the Sunshine/Stop 180 Sixth Avenue campaign. For additional information about this meeting, visit the GVSHP website HERE. SIGN-UP for the South Village Neighbors email/listserv when you receive your invitation email, or visit HERE to request an invitation to the group. CONTRIBUTE to the South Village Legal Fund. Thanks to your generosity, and the gracious fiscal sponsorship of SoHo Alliance, the Valentine’s Day campaign for the South Village Legal Fund has raised more than enough to kick off our legal challenge. Ultimately, this fight will may cost a good bit more than what we currently have on hand. If you have already supported the legal fund, many thanks for your support. If you haven’t yet had an opportunity to contribute to the fund, we encourage you to do so today. It’s easy. You can find instructions on how to donate HERE. 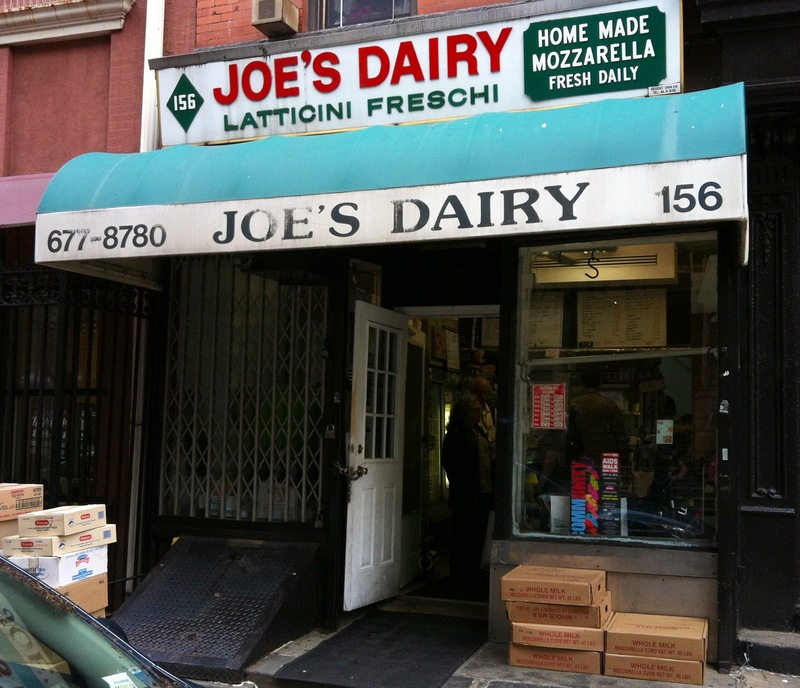 This entry was posted in Uncategorized and tagged 180 Sixth Avenue, God's Love We Deliver, public spaces, South Village Legal Fund, Vesuvio Playground on April 14, 2013 by southvillageneighbors. 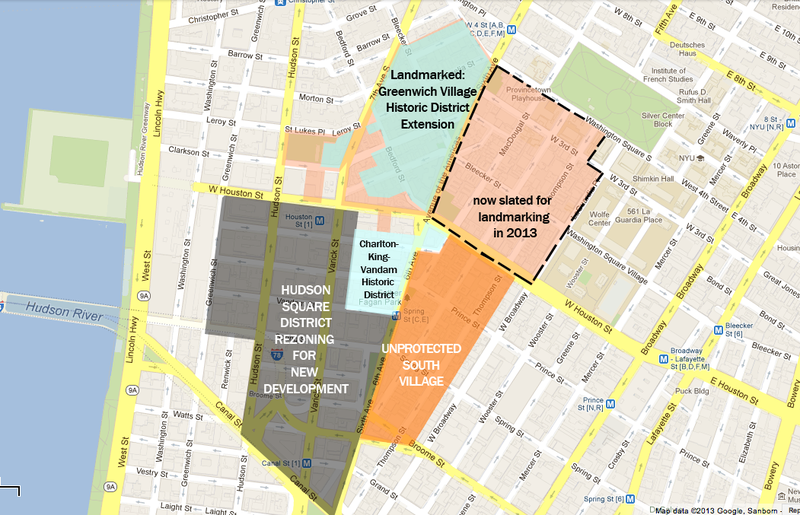 In a move that disappointed and angered South Village residents, the City Council’s Subcommittee on Zoning and Franchises voted today to approve rezoning of the Hudson Square District without providing any landmark protections for the South Village neighborhood that the City’s own study notes will be endangered by the rezoning. The City Council will vote next week on this matter, and it is a near certainty that they will ratify the decision of the zoning subcommittee. Perhaps in an effort to appear responsive to the concerns from the threatened historic neighborhoods, the City Council has secured a commitment from the Landmarks Preservation Commission to consider landmarking areas north of Houston Street sometime before the end of the year. While this could be good news for neighbors to the north – who have been faced with NYU’s rapacious development plans – it leaves the southern part of the South Village, which directly abuts the newly rezoned district, without any protections. The Landmarks Preservation Commission has also promised to “survey” the southern part of the South Village in the coming year, with an eye toward possible landmarking at a future date. But, as many have pointed out, by the time the Landmark Preservation Commission gets around to landmarking the South Village there may be no landmarks left to preserve. This entry was posted in Uncategorized on March 13, 2013 by southvillageneighbors. The South Village Neighbors Legal Fund has raised $3,400 in just two weeks. Donations have ranged from $20 up to a $1,000 pledge that we will match. We are only $1,600 away from our goal of $5000 to retain a land use attorney to stop the God’s Love We Deliver-QT development scheme at 180 Sixth Avenue. Even with all of this great work, we have to remember that this is what we’re up against: an 80,000 square foot, 15-story luxury condominium tower and ground floor retail space, built at our expense. Last week a group of South Village neighbors testified against the GLWD-QT Development scheme at the Office of Citywide Administrative Services. The folks from GLWD and QT were awfully surprised to see us there, and the representative from the Mayor’s Office seemed fairly impressed by our arguments. While this testimony may have little impact on the Mayor’s decision regarding the air rights deal, it is part of the public record if we ever wind up in court with our opponents. Read more about it here. Six hundred fundraising flyers about the South Village Legal Fund have been distributed in buildings and businesses around the neighborhood this weekend. If you receive a flyer and don’t need it, please consider asking your drycleaner, bakery, coffee shop, drugstore, newsstand, barber’s shop or grocer to post it. 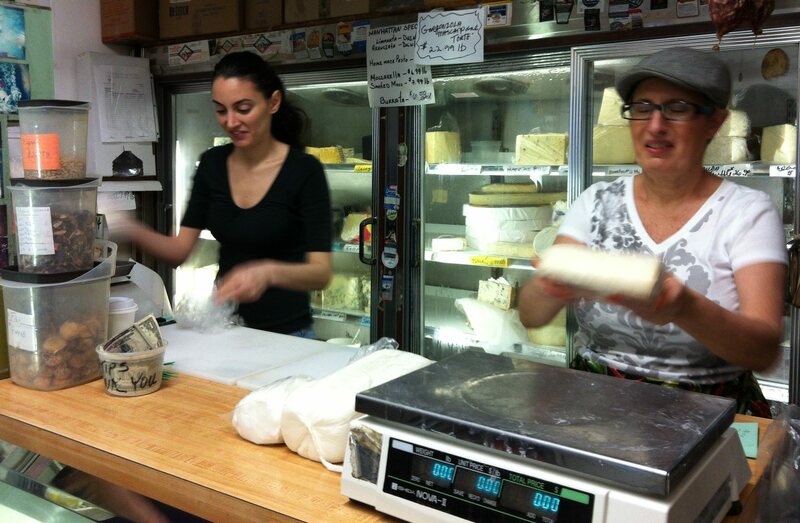 We’ve found that neighborhood merchants are eager to help when asked by the people they see all the time. We’ve reached out to the Friends of Vesuvio Park for their support as the children’s pool at the playground will lose much of its summer sunshine if the GLWD-QT development proceeds as planned. Read more about this here. And next Sunday St. Anthony’s Church will include news about South Village Neighbors and our efforts in their parish bulletin. If you have already supported the South Village Legal Fund, we thank you on behalf of the whole neighborhood. Perhaps you would consider speaking to a neighbor who hasn’t yet contributed? 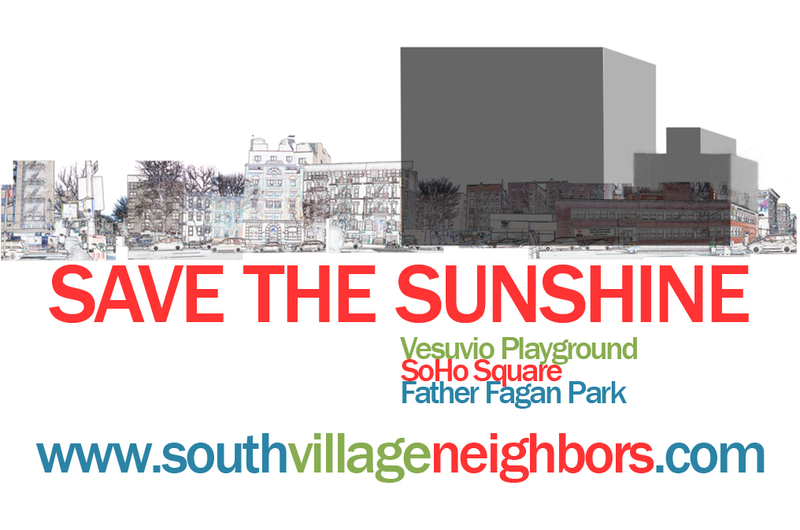 This is very much a grassroots, neighbor-to-neighbor effort to save our skyline, our playgrounds, and our sunshine across three affected public spaces: Vesuvio Playground (bet. Thompson/Sullivan), Soho Square (at Spring/Sixth) and Father Fagan Square (at Prince/Sixth). June 21st shadows on Vesuvio Playground from the Environmental Site Assessment commissioned by the developer. And if you haven’t had a chance to give yet, we urge you to do so today. No contribution is too small. $300, $200, $100, $50 . . . it all helps. After the backhoes and pile drivers arrive, it may just be too late to stop them. We would not want you to regret that you didn’t act today. 2. Note South Village Legal Fund in the memo line. 3. Mail or drop off your check with Barbara North, who has kindly agreed to manage the bookkeeping on this: Barbara North, 100 Sullivan Street, Apt 1E, New York, NY 10012. 1. Visit www.sohoalliance.org/join.html. 2. Enter the amount you’d like to donate and click on “PayPal”. 3. Just before you pay you will have the opportunity to designate your donation for the legal fund. When you see the “Your order summary” page, enter South Village Legal Fund in the box for description. This will earmark your donation for 180 Sixth Avenue challenge. This entry was posted in Uncategorized and tagged 180 Sixth Avenue, environmental impact, God's Love We Deliver, public spaces, South Village Legal Fund, Vesuvio Playground on March 3, 2013 by southvillageneighbors.